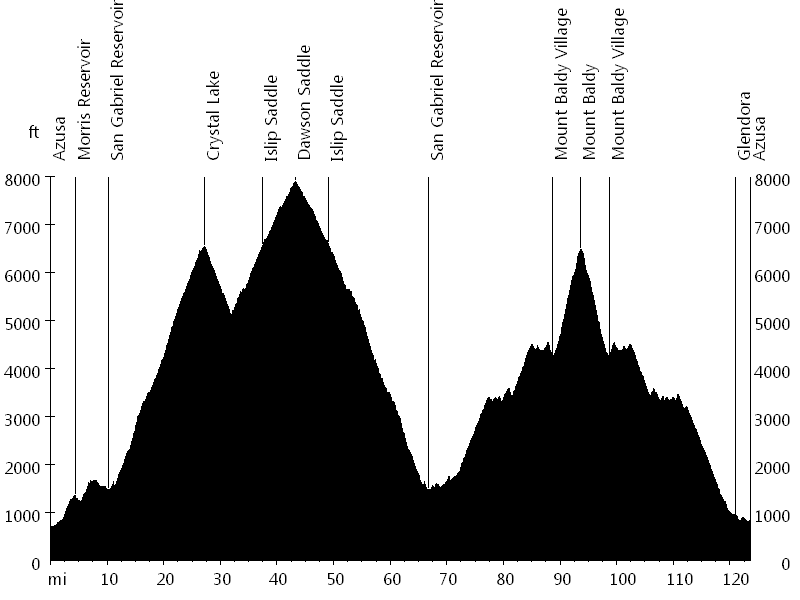 This ride is a variation of the Mount Baldy and Islip Saddle century and of the Mount Baldy Notch and Crystal Lake multi-surface century. 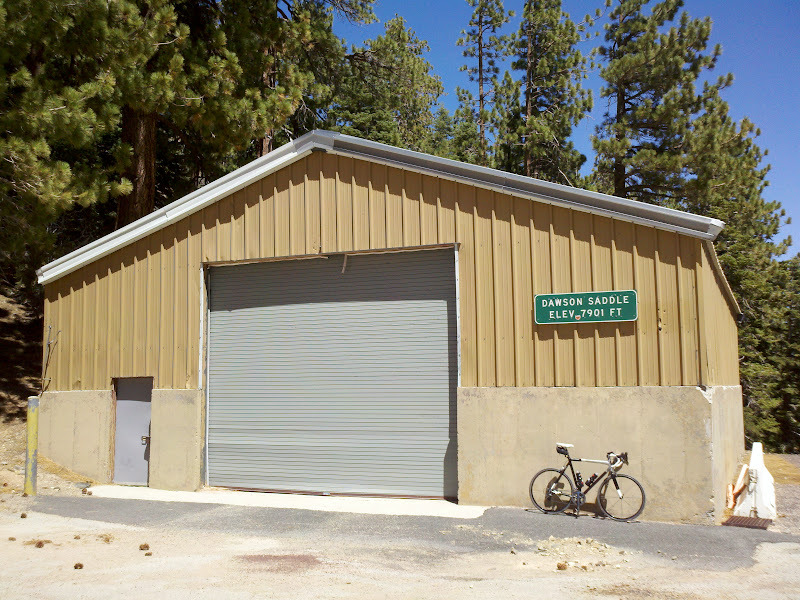 It starts in Azusa and initially leads up to the Crystal Lake area. After the store, the road continues single lane to Deer Flats campground (6,400 ft). The ride continues on San Gabriel Canyon Road to Islip Saddle (6,600 ft) and on Angeles Crest Highway to Dawson Saddle (7,900 ft). After a very long descent, East Fork Road leads to Glendora Mountain Road, Glendora Ridge Road, and Mount Baldy Road, the switchbacks up Mount Baldy (6,600 ft). The descent follows the same route, but instead of turning onto East Fork Road, it continues on to Glendora and leads back to Azusa. With over 100,000 feet of climbing in my legs from the past few weeks, I decided to head to the San Gabriel Mountains for a solo ride. I started at sunrise to have enough daylight. The climbs to Crystal Lake and Dawson Saddle were perfect, but on the climb to Cow Canyon Saddle I ran low on water and started bonking in the heat. 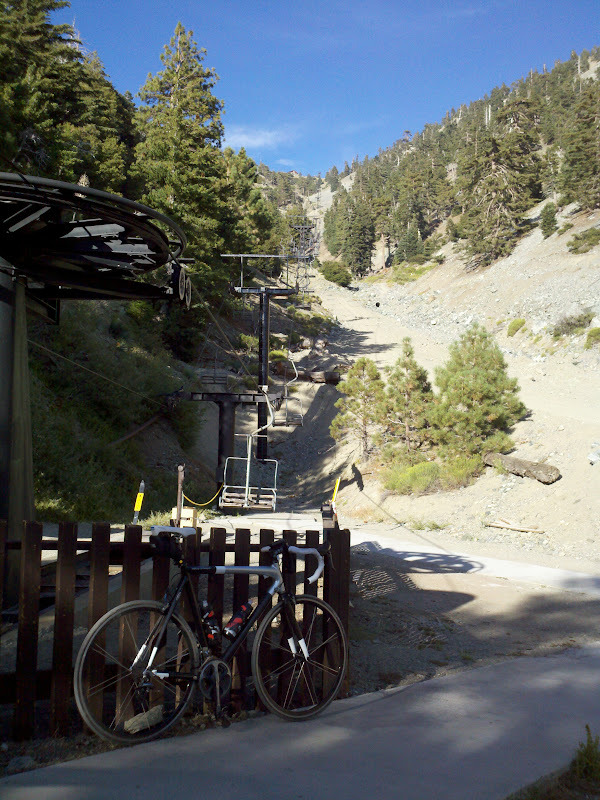 After three cold cokes and a large ice cream in Mount Baldy Village, I was able to continue. The descent into the sunset was awesome. On Glendora Mountain Road, two downhill skateboarders were racing me.